Since first hearing about Ni No Kuni, we've been excited. When I say "we", I mean the all encompassing realm of anime fandom. When speaking of anime studios, there is none more widely recognisable than Studio Ghibli. When speaking of Japanese Role Playing Games (JRPG), before Final Fantasy there was Dragon Quest by LEVEL-5 Inc, a series famous for being co-created by Dragonball's Akira Toriyama. If you're thinking that there is no possible way that this game could be anything short of spectacular, you'd be right. 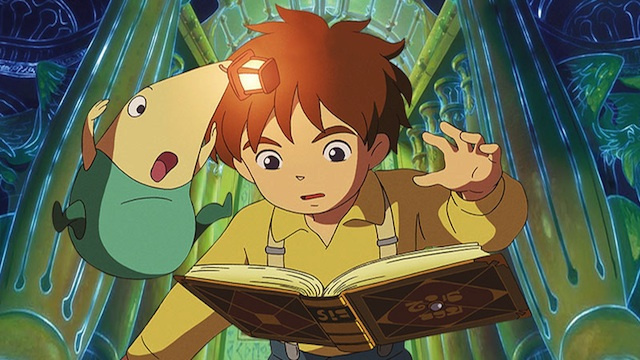 We start Ni No Kuni in the shoes of 13 year old Oliver, a kind hearted boy from the wholesome town of Motorville. An unspeakable tragedy strikes before Ollie is joined by an odd looking male fairy named Drippy, Ollie's companion through the rest of the game. Drippy supplies Ollie with a magic book and explains that Motorville is just one side of the equation and that if they work together, they can undo the earlier tragedy, restoring Ollie's fractured world. Like with many JRPG's, the opening stages are quite long and drawn out. They act as a training ground, ensuring that the player has a firm grasp on the control system, access to the codex and the various menus on offer. Longtime fans may find this to be laborious if not tedious but thankfully, you have Studio Ghibli art to look at. While these tutorials seem to roll on for nearly 2 hours, they serve to explain the game in a way that makes it accessible to first time JRPG players and younger audiences. 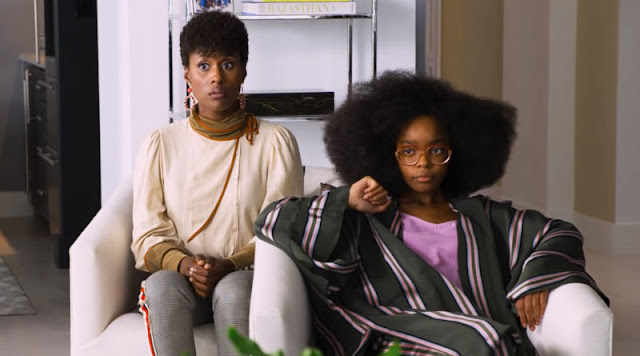 While the game may be accessible to younger audiences, it will still present a challenge to even grown up players. There are two game modes available, easy and normal. The normal setting will provide an ongoing challenge while the easy setting is probably recommended for those who are happy to indulge in Akihiro Hino's story and beauty of Studio Ghibli's artwork. It is instantly evident that these are Studio Ghibli character designs. Each one is simple yet detailed and completely different to the last. The many cut scenes that you'll encounter are luscious to say the least while the gameplay actually manages to come very close to being of the same quality. 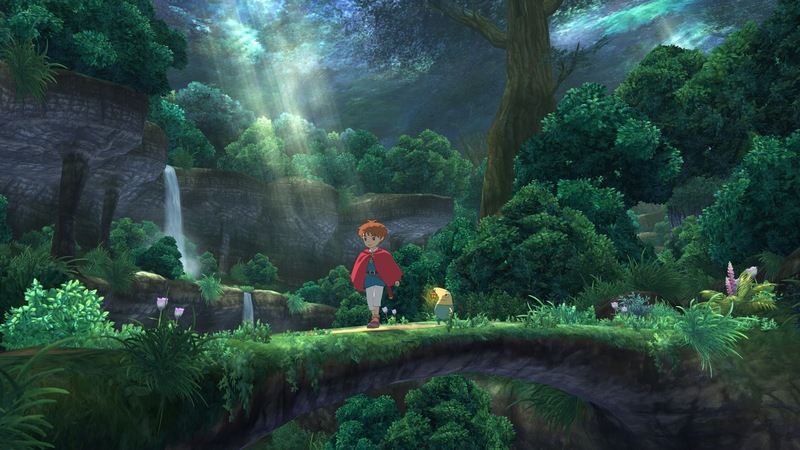 After playing such a gorgeous game it would almost seem to be a waste for Ghibli and LEVEL-5 not to produce a feature film based on this property. To add even more Ghibli-ness to the fold, long-time Studio Ghibli collaborator Joe Hisaishi is onboard as the games composer. He and the Tokyo Philharmonic Orchestra deliver a soundtrack that is somewhat of a blend between a classic Ghibli score and that of Nobuo Uematsu's work on Final Fantasy. This truly is an all ages experience. While there are plenty of fights to be had, they never result in blood, guts and viscera being spilled. Don't let that fool you, there is darkness in the world that Ollie must face and he will be confronted by enemies at every turn. 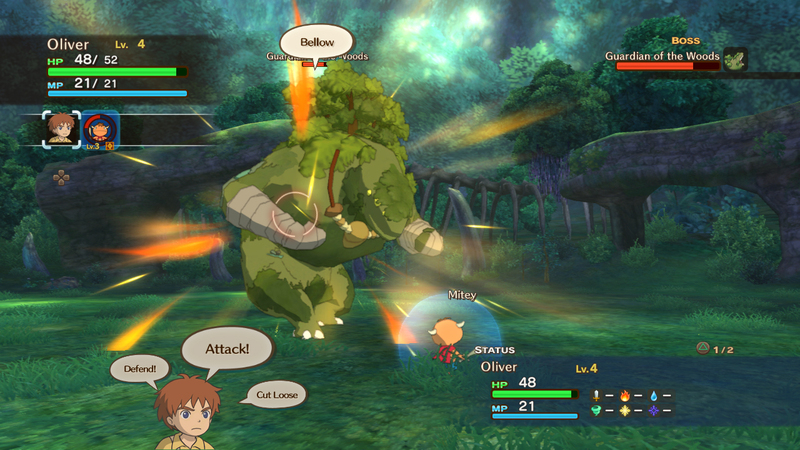 There is a dark undercurrent running through Ni No Kuni which provides a welcome counterbalance to the beauty and whimsy of the surface story. It is a story about a pure-hearted young boy who mends hearts while on an incredible journey to do the same for himself. Be prepared to sink some serious hours into this game. While it has been said that the core game can be finished in around 40 hours, you'd be looking at closer to 80 hours to finish all of the side quests including bounty hunts and errands for various villagers. Even though it may seem easier to shoot straight through the game to get to the finish line, grinding away at these side quests will give you valuable XP, making the core story a little easier to plow through. While playing the game, save often! If you die during combat, and if you play on the normal setting you probably will, you can choose to return to the title screen and continue from your last save point or respawn where you are. The latter will see your bank balance reduced by 10% each time. A high price to pay for a medical call out, methinks. 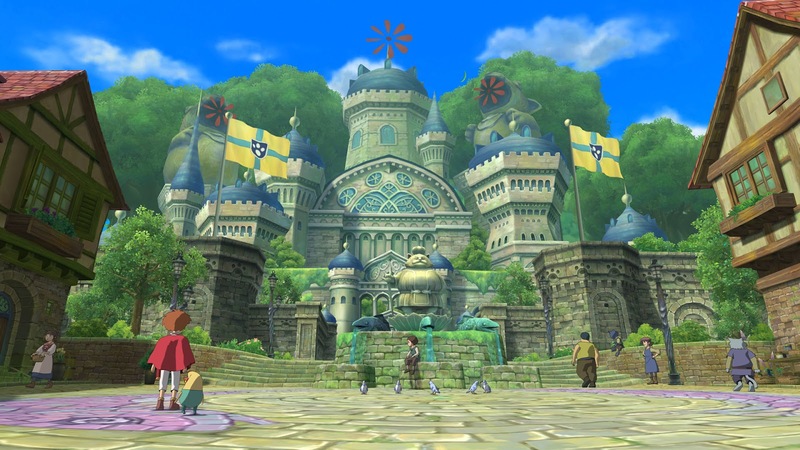 Ni No Kuni is the most beautiful game I have ever played. It took me back to the first time I played Final Fantasy VII, another game that was incredibly immersive and filled with audio and visual appeal. That said, FF7 can't hold a candle to Ni No Kuni. Every single scene, every little element is influenced by Studio Ghibli's tendency to focus on the magic within their characters. The world, character and even menu designs are filled with whimsy which makes for a beautifully polished game which is equally as fun as it is beautiful. Ni No Kuni is a must own for fans of Studio Ghibli and good JRPG's alike and is an utterly delightful experience from beginning to end. 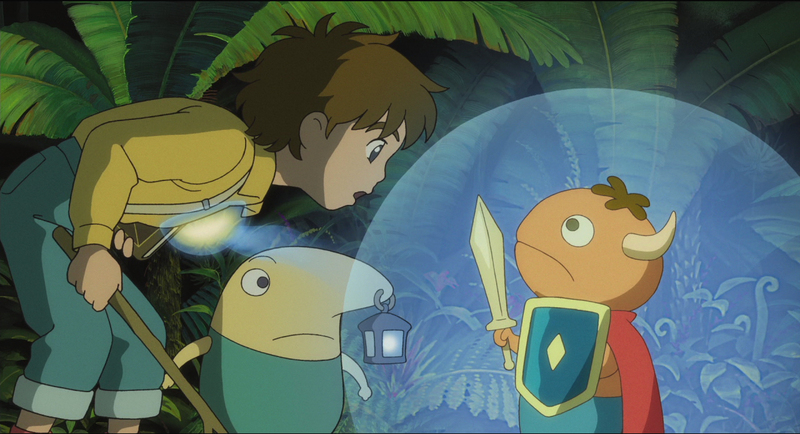 Ni No Kuni is available on PS3 in Australia from January 31st 2013.